I love simple food. I love food with both simple ingredients, simple flavors and a simple cooking method. I also love to explore with food and mix and match ingredients that I have on hand…and this is how this one came to be. 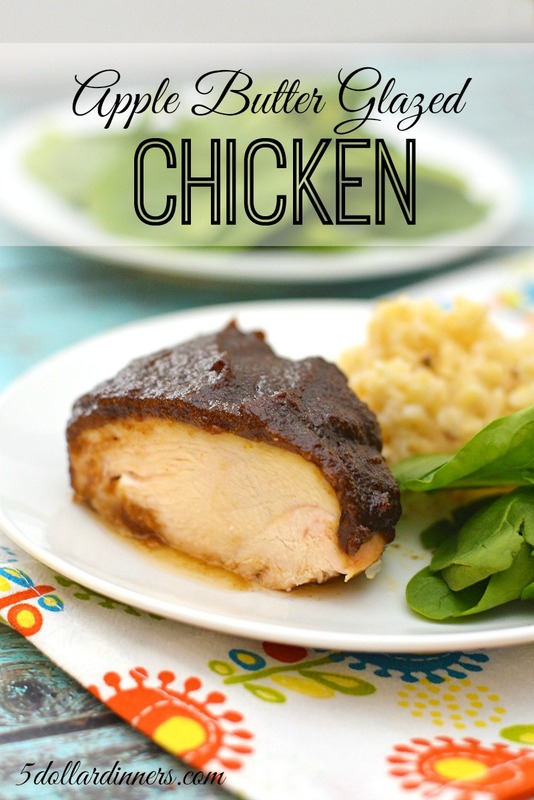 I had some apple butter in the pantry and decided it would be delicious on chicken…with a few smoky additions. Bake this and serve it with some simple sides…like dinner rolls or some rice, and veggies or salad. In a small mixing bowl, whisk together the apple butter, garlic powder, onion powder, chili powder and ground cumin. Place the chicken breasts into a 9×13-inch baking dish and sprinkle with a little salt and pepper. Pour the apple butter mixture over the top, evenly coating the chicken breasts. Bake in the preheated oven for 45 to 50 minutes, or until chicken is cooked through. Season with salt and pepper to taste. 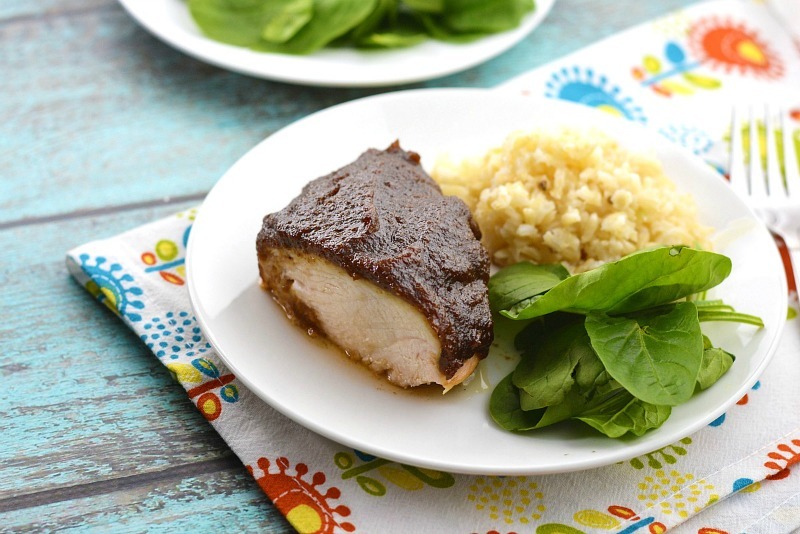 Serve Apple Butter Glazed Chicken with rice and veggies or salad.